Swede Farms was founded in 1991 by Marc Lieberman, its current president. 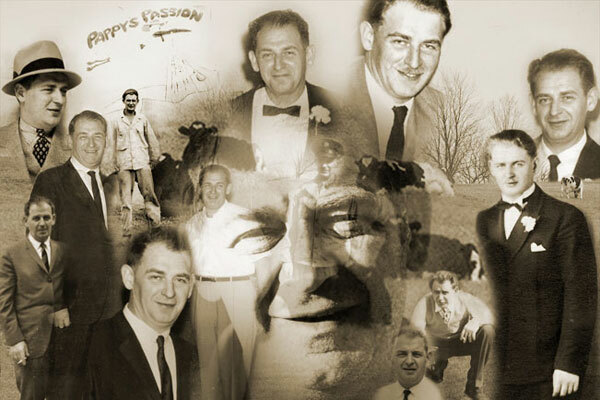 The Lieberman family has a long relationship with the dairy industry that began with Marc’s father Irving who, after serving his country in World War II, became a milkman to support his wife and his sons. Due to his burly appearance, light complexion, and blonde hair, Irving was nicknamed “Swede” while serving in the army. “Swede” became the name by which he was known, not only by his family and friends, but also by his coworkers in the industry. Illness forced him to retire in 1968 after 20 years of dedicated service. Two of his sons, Fabian and Marc, followed in their father’s footsteps and initially worked for different companies in the dairy industry. However, there was a common thread that both of their careers followed. They both worked for family owned businesses, which serviced the restaurant and food service industry. They both worked for companies that recognized the importance of superior customer service and instilled that recognition and work ethic in the two brothers. In 1991 Marc, who had been working as a salesman, decided the time was right to strike out on his own. A change in the structure of milk licensing in New York State made it possible for him to obtain a license and start a business as a sub-dealer of another dairy distributer. Swede Farms, Inc. was born! Fabian soon joined the fledgling business as vice-president and partner. Marc sold and Fabian delivered. From these humble beginnings, through hard work, and by delivering quality products with unwavering dedication to customer service, Swede Farms prospered. Over the next 15 years as the company grew, it moved its location a number of times as it seized opportunities which allowed it to continue its strategic growth. These opportunities still had Swede Farms operating as a sub-dealer out of another distributor’s facility, and Marc and Fabian found the business constrained by this circumstance. In 2005, they began to search for a solution to the problem and found the facility they currently own and operate out of in Teaneck, NJ. The building was renovated extensively, including the addition of a large refrigerated warehouse and freezer. The office space was also renovated, and a pleasant modern office environment was created. In February 2006, Swede Farms started operations out of its state of the art facility. Since it is centrally located between the major metropolitan areas of New York and New Jersey, it is now poised to realize the full growth potential its new facility can provide. In December 2008, Marc and Fabian, with the participation of their older brother Glenn, dedicated the new facility in memory of their father Irving, “Swede”, with a commemorative plaque.